First impressions of the place you have chosen to live. First impressions of people you see in that place. First impressions of how people see you. How migrants can make a great first impression. The initial weeks or months in a new country will be an assault on your senses. There is so much to take in. As you process the differences and live through the culture shock, you will be forming your first impressions. These first impressions are likely to still be vivid years later. There are resources online to help new immigrants. Some share stories and videos of immigrants’ first impressions. Have a look at the links below. I love the comment about fruit on steroids! One of my first impressions of New Zealand was either a distortion or a quick introduction to the fundamental characteristics of the country. I had been in NZ a week. A school friend had lent me her car while she holidayed in Bali. Saturday afternoon I swiftly exited Auckland city and headed for a youth hostel in the “Jewel of New Zealand,” the Coromandel Peninsula. I was on my first mission to explore New Zealand. My first impression; there was no one around. I mean no one on the country roads or outside the houses, and yet I was less than an hour out of the biggest New Zealand city. I knew New Zealand had a tenth the population of the UK, but to see no car or person for an hour was weird. especially as I was on a main road (the big signs told me so.) On the way I stopped at a shop with a cream cone sign on top of it. It sold basic groceries as well, useful as I needed some bread. The display offered unfamiliar ice cream flavours; Hokey Pokey, Orange Chocolate chip, and then the more familiar, Rum and Raisin, and Vanilla. The shop was empty. I pondered over choosing a new flavour or sticking with a familiar one. Once I had decided, I coughed and hummed and whistled, but no-one appeared even though I could hear a TV in the background. Bored of waiting I thought of leaving, but the idea of Rum and Raisin had made me salivate, and I wanted to buy bread. “Tourist.” Pretty obvious with my accent, I thought. However I do like to think of myself as a traveler, an inquisitive traveler, ready to engage with the people of the country I'm in. Before she finished scooping she announced, “a dollar.” Exchanging ice cream for dollar, she took the note with her as she disappeared through the door frame to continue watching 'The game.' Perhaps I won’t buy some bread here after all, I thought. 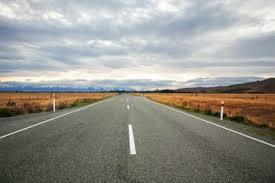 Back on the road, the absence of humans still didn’t make sense. World Cup this and that came and went in London without me batting an eyelid. There were always people around. This was in New Zealand though. What I didn’t know at that time of 3.30pm on Saturday 19th June 1987, was that this was the day for New Zealand. It was the day NZ won the Rugby World Cup at home for the first time. Go the All Blacks! The whole of New Zealand (except me apparently) was watching the game. Now I have lived in New Zealand for nearly three decades I can appreciate that this experience was an apt first impression of the place. The whole country often stops everything for sport. However they also are on the move a lot, especially to their favorite places such as the Coromandel Peninsula, and they like ice creams. It was only another hour before I found the youth hostel. It was in the most beautiful and peaceful places I had ever been to. It was during that stay that I fell in love with New Zealand. My impressive first impression. Hopefully you will be exposed to a variety of people in your adopted country to gain your first impression. Most non-migrants are flattered that you have left your homeland to live in theirs. Watch them and learn their ways of life, their culture. My first impression of New Zealanders were people who were friendly, and proud of their country. Good or bad experiences with one or two individuals will not necessarily be how all people of that nation are. Focus on the positive experiences. If you find that during your first impressions there are characteristics that you are not comfortable with, give it time. Often when we are faced with new features we are uncomfortable -the idea of having to learn Microsoft 10 fills me with dread. However, once we have become used to the new, we can appreciate and enjoy what the new or different can offer. Whether an immigrant or not, the impression you make on others will depend on the other's preconceptions of ethnicity, racism and prejudice. The impression will also depend on the context within which you meet people. As an immigrant, your appearance, ethnicity and/or your accent will show you are 'not from here'. You may have encounters where you are made to feel unwelcome or are reminded that you are an outsider. You have to toughen up. You are an outsider until you have shared experiences. Be patient. Shared experiences will give you a sense of connection. These may be as small as a conversation on a bus ride, or at work where you share a lunch break or task together. Immigrants have to have patience. Fortunatelymost migrants are motivated to do all they can to have a better life and they are prepared to wait. As a migrant your accent or your appearance will give you away. Be proud of yourself. Be open minded and welcoming yourself. Find out the appropriate way to greet people in the culture you are in. Read more here. Consider yourself a guest in the country in which you have chosen to live. Until you become more established, you will probably feel like a guest anyway. A guest is conscious of using their best manners. Respect the cultural norms. If you don’t know them, find them out by asking or research. Brought up in England, I was often told that you don’t talk about money, politics or religion. In other countries, talking about money may be the norm. When you greet with a smile, make sure the smile is a genuine one. If you make mistakes, apologise if necessary and/or laugh them off. If you don't make a good first impression, take time out to analyse what it went wrong. Don’t set yourself up for failure. As a migrant you have to go out and meet people, make connections. Sometimes you are more in the mood than other times. If you in the mood, great. If not, don’t force it. Being a new immigrant can be exhausting because you are continually processing new information. Pace yourself. If you are not in the mood to meet people, either don’t, or get yourself in the mood by watching humorous You Tube videos. 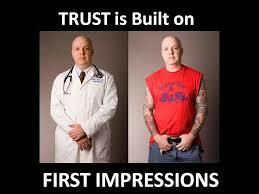 Realise that your first impressions, those you receive and give, are not the only impression. Keep working on making the best impression you can.